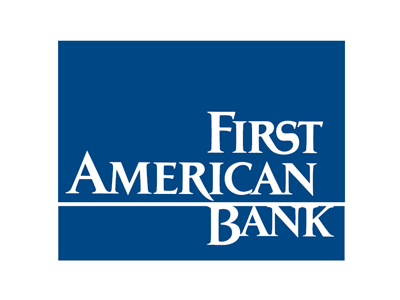 First American Bank Corp. had 30 programmers on its technology staff, routinely tasked with "a whole plethora of small, short duration projects," according to Noel Levassseur, an executive vice president of the company. The programmers brought with them their own application preferences, integrating those packages at First American's centralized data center. When First American decided to consolidate their project operations within a single solution, they began looking for applications that would work within their Lotus Notes / Domino environment. "We couldn't find very many competitive products that worked in our collaborative process with Lotus Notes," said Levasseur. "We were concerned about implementation, and we were concerned about ongoing support." First American chose Tracker Suite. Because Tracker Suite didn"t simply install within, but actually leveraged the Lotus Notes environment First American"s technology staff were already experienced in, user adoption was rapid. Also, because Tracker solutions are 100% server based, installation was a matter of sending a group e-mail to employees. Tracker"s server model also alleviated support concerns, any required updates could immediately be replicated across the organization"s desktops after being installed on the server. First American uses Tracker Suite to manage its continually changing project portfolio: prioritizing projects, task management, tracking deadlines and costs, generating business reports, track employee hours and facilitating communications among the programmers with its discussion database. As well as projects, First American also uses Tracker Suite to govern its support services. Tracker provides First American a robust FAQ and organic Knowledgebase which helps reduce the workload of support services. Tracker Suite also simplified submission and tracking of support requests, and its automated notifications to support staff streamlined operations greatly.